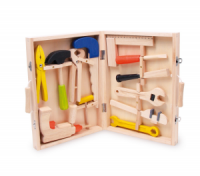 The earliest known toys were made from wood; jigsaw puzzles, dolls, Noah’s Arks, doll houses, blocks, all wooden and all still available today in various forms. Wood is a natural product which is tactile and stimulates the senses. Its varied colours, grain, weight and smell and the sound that it makes ensure that they all have a unique quality about them. 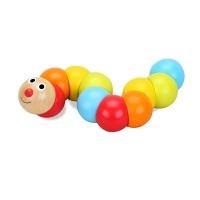 Most people love wooden toys because it is a natural sustainable and eco friendly material involving fewer chemicals in the production of the final product. There is evidence that wood has natural, antibacterial properties which make it safer than plastic and whilst the life of wooden toys is much longer than most modern materials, at the end of its life it is biodegradable. As parents we are constantly inundated by a barrage of adverts to buy the latest all singing, all dancing toy. New toys and games are being developed constantly which feature complex plastic pieces designed for a few predetermined results. Unfortunately we can end up spending a lot but ending up with little educational benefit. 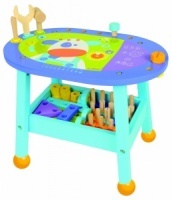 Traditional wooden toys have always been ‘on trend’; our grandparents and great-grandparents gained educational benefit from wooden toys when they were young and your grandchildren will do the same. 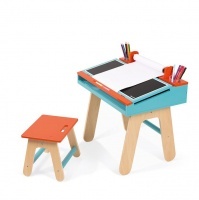 Whilst they are constantly being updated in the latest designs and colours they still have the same traditional attraction and education value that they always had. If they have been educationally dependable for hundreds of years there is no reason to think they will not continue to be so. If they are more expensive, how sensible to look upon the money we spend on toys as an investment. 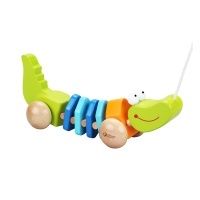 Solid wooden toys made from a quality wood last a long time and can be enjoyed for generations. Usually they will only suffer from the odd dent or chip and can be easily washed or even repaired to continue to delight and benefit lots of children. Another often missed advantage is that wooden toys are often beautiful, visual objects in their own right and can be displayed on a shelf instead of being tidied away in a box and hidden in a cupboard out of sight. 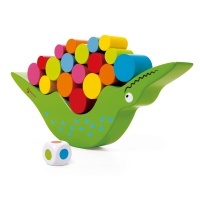 When children are very young a wooden toy will be played with using basic control methods and are used in fantasy play, but as they grow older, they can be used as a part of a bigger story and more complex story lines, extending their imaginations in different scenarios. 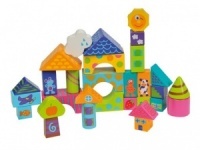 There are sets of blocks and shapes available that can be used to build different constructions and geometric arrangements with circles, triangles, squares or sticks. 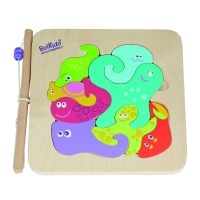 In addition wooden toys help children understand things in a logical way. As they don’t have sounds which dictate which piece should be picked up next they have to decide perhaps to sort the pieces in order of shape or colour or perhaps size. 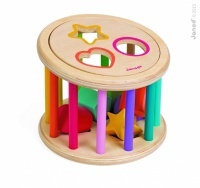 If the wooden toy doesn't have a specific purpose it can be used to represent all manner of different objects in many different play stories. For example sticks can represent money and blocks can become cakes, or fruit, circles can become vegetables depending on colour, the possible choices are as endless as is the child’s imagination. 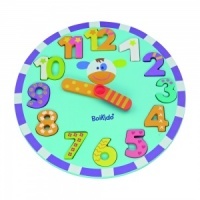 Modern toys come with all sorts of different sounds and electronic features which lead the child to play in a certain way. 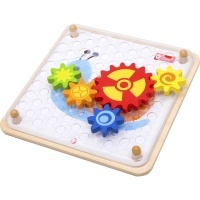 With wooden toys which are quiet and come without distractions they allows the child’s mind to soar in all sorts of different directions without any pre-planned end result and the child provides the sound track to suit the story. This type of open ended play helps with problem solving without any interruptions in the thinking process. 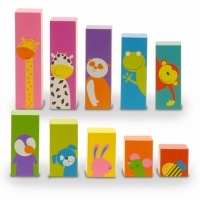 If you are keen for your child to make friends easily, wooden toys encourage interaction with others. 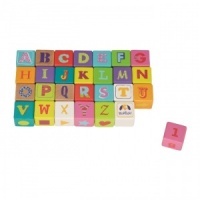 With wooden toys that don’t come with sounds, lights or other features, your child will look to other playmates to join them in play and to provide the interaction and noises they are looking for. A toy which has all the ‘bells and whistles’ and which will give them the responses they are looking for, they can play with on their own. You can also get involved in play by helping to build their self esteem with positive feedback and supportive comments which support their decisions. 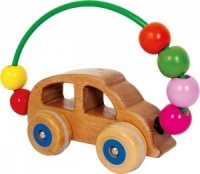 Wooden toys help to refine fine motor skills as well as build hand-eye co-ordination. The ranges of first wooden toys for toddlers are chunky and sometimes awkward to grasp instead of being made to fit a child’s hand. This means that the child has to find different ways to hold them, which helps them to develop their skills. Solving puzzles and finding ways to fit pieces together by size, shape, colour or by building the different pieces into different structures, all help build hand-eye co-ordination. 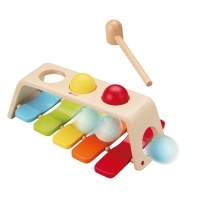 Not only are wooden toys tactile and beautiful, but often weigh more than other toys. 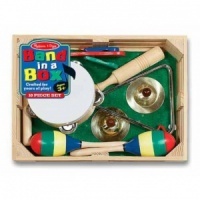 This helps them to naturally feel more as they are played with, they also have to think more and use more energy to make the toy do what they want it to do; all helpful in the development of fine motor skills. 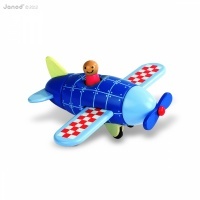 Wooden toys are lovely to look at and can be left out to play with as often as they are wanted. They are safe, made from natural materials, are non toxic and less likely to break into pieces with sharp edges. They don’t make irritating noises and the only sounds you will hear when being played with are the sounds of children’s voices. 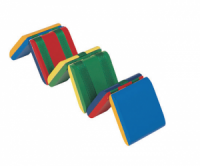 They offer amazing value as they can last for years, continue to be played with in different play situations as your child grows, can be handed down to other children in the family and when no longer wanted are fully biodegradable.